Sometimes when we watch movies or TV shows, we found people’s voices before the actual time or after the mouth moving. The audio is out of sync with the video by seconds or more. It is really a very annoying experience, isn’t it? It removes the fun of watching a movie. Well, don’t be frustrated, give a glance at this post in which highly-suggested solutions are listed here for you to manually sync audio and video. The Video Converter Studio is a file converter that comes with a powerful hidden feature for syncing audio and video. Whatever the sound is ahead or behind the video, it can let people reset the sound to be synchronous with the video in a very simple and convenient way. The only thing we need to do is to enter the second(s) that the audio falls behind the video then let the software do the rest thing. Here we go with the detailed instructions as well as main features you would be interested in. Press the following “Download” to get the software fully installed to your computer. Mind that this software is only suitable for computer running Windows OS. Upload the file to the software by clicking “Add files” or you can just drag and drop the video from your hard drive directly. When the file is fully loaded to the software, hit “Edit” and you’ll be directed to the Video Editor window. Under the “Adjust” tab in this window, type in the second(s) in “Synchronize(s)” section. Click “Play” under the player to check if the video is well amended. Press “OK” to save the changes you’ve done to the video. Drop down “Profile” bar to choose a popular format for saving your video. You’ll have no trouble sharing it to others with a common file type. Press “Convert” to make all changes come into effect. The video will be saved to your computer automatically in a short while. As a piece of easy-to-use audio video sync software, it also plays the following roles. Video Converter – convert videos to multiple formats and devices. 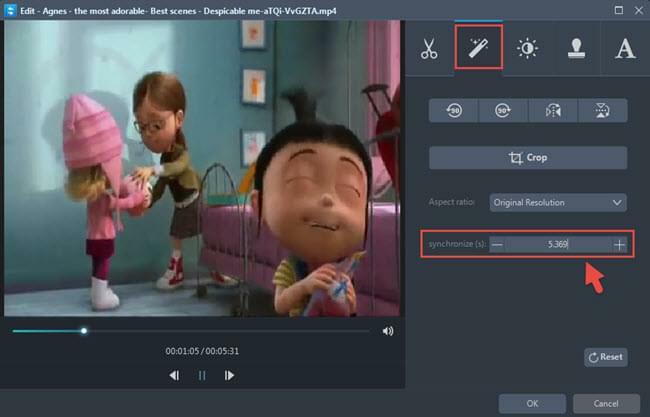 Video Editor – trim, crop, rotate, merge, split, add effect/watermark/subtitle for video. Video Downloader – capture streaming videos from various video sites. Video Player – ready for playing back all kinds of videos and audios. Screen Recorder – record the playing video or audio on the screen. MV Maker – create movie-like photo slideshow with pictures and music. When it comes to VLC media player, it reminds us of its powerful ability to play videos in any formats or codecs. 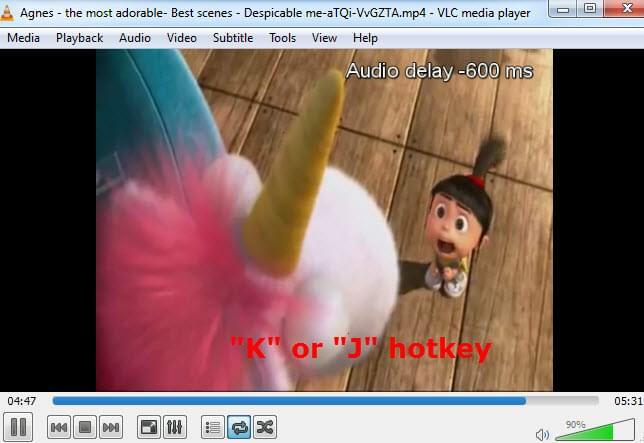 VLC player also does great in that it allows users to adjust the audio track in the video. Fixing the audio out of sync with the video just needs the K and J keys on the keyboard while the video is playing. Note that VLC can just fix the sync problem while playing the video. Let’s see how to sync audio and video with it. 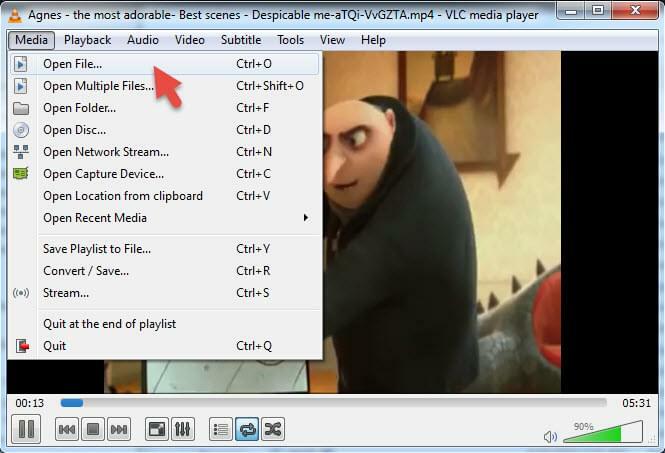 Pull down “Media” and choose “Open File” from the list to select the file to be played in the VLC. Make sure the video is playing before you forward to the next step. Press “K” hotkey from your keyboard if you want to slow down the audio track, otherwise, press the “J” hotkey. Remember each press will slow down or speed up the audio by 50 milliseconds. Adjust the timing of the sound until it matches the video precisely. You’ll then watch the movie in VLC. What’s bad about this solution is it cannot save changes permanently. 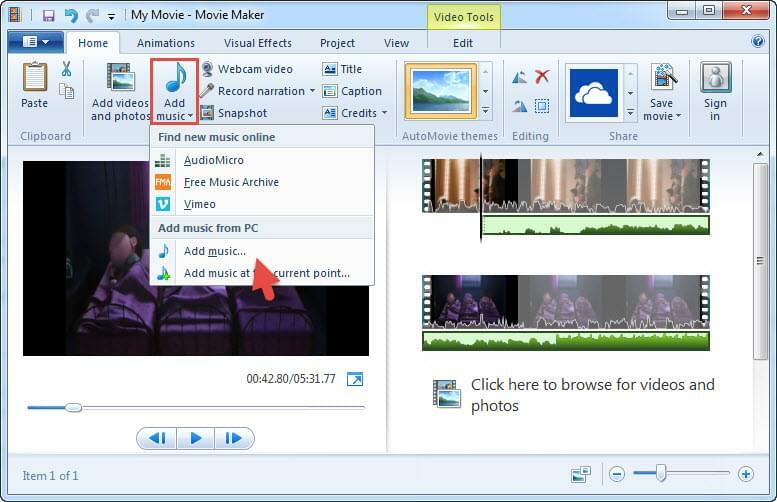 Windows Movie Maker can help to sync audio and video if the audio is not in the video, or else there is nothing you can do with the delay. In other words, this solution is only available for the video which has separate audio track. 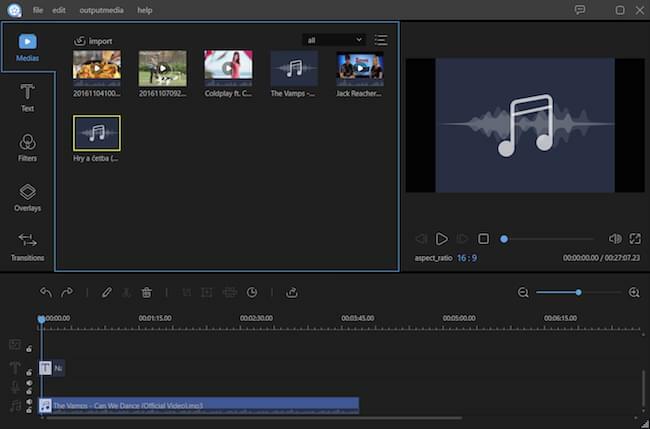 Launch the Windows Movie Maker, drag the video into the panel to see if the audio and video play in sync there. After the video is imported, a timeline for the video track will appear instantly. Press “Add Music” to add the audio track to the video. There is also a timeline for the audio. Go to find the point when the audio becomes unsynchronized with video, manually drag the audio track left or right until it sounds synchronous with the video. Drop down the File menu, click Save Movie and choose a desired path to save it to your computer or social media platforms. 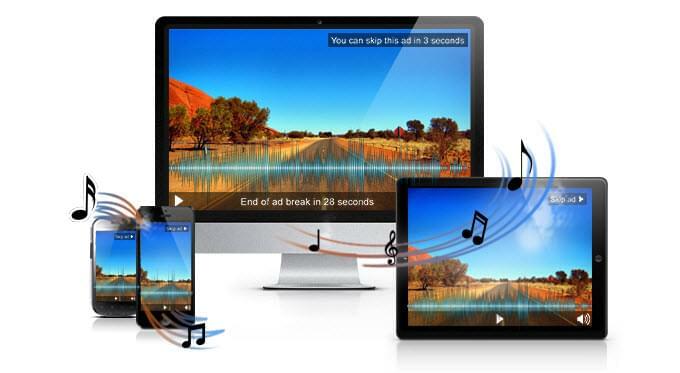 It seems that you have got your answer to sync audio and video with above suggested programs. There is still a piece of shareware that you might be interested in. It’s called ApowerEdit, which as far as I know is a program for editing video professionally. People can directly detach audio from the original video and then move the soundtrack to the place it should be with the mouse. The built-in media player can let us preview the effect before the video is output. Comparatively speaking, this software is the one I like most but the trial version puts watermark on the video. If you want to remove the watermark, you’ll be asked to pay. Give it a try if you are not in a budget deficit. Those are the whole solutions for syncing audio and video, among which the Video Converter Studio ranks the best one based on its functionality and efficiency. 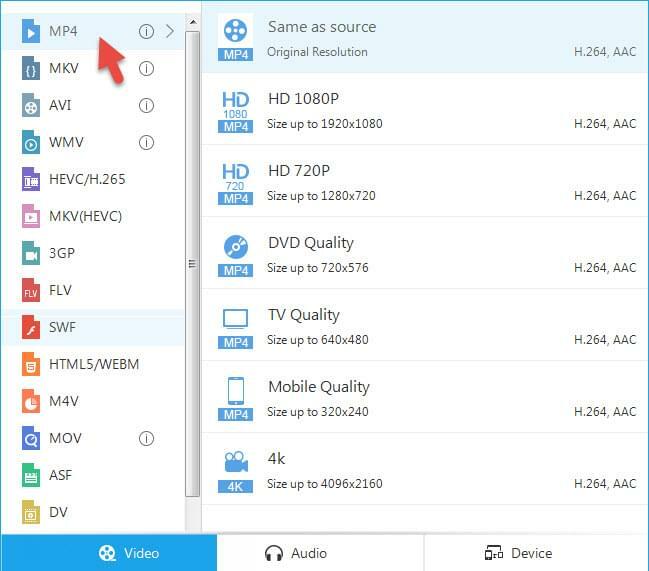 It can both adjust the video file with embedded or external audio track and save it to PC or for use on other devices with no efforts. If you have better tools for suggestion, please do not hesitate to make a comment to let me know. It will be very welcome.